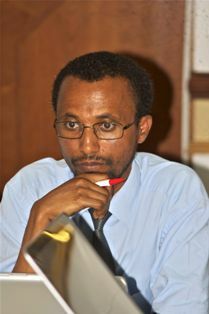 Tadele Ferede is currently the Deputy Center Director and a Senior Research Fellow at the EfD center in Ethiopia/EEPFE and an assistant professor of economics at the School of Economics of Addis Ababa University. He has teaching experience in macro- and micro-economics and quantitative economics at AAU. He completed his PhD in Applied Economics at the University of Antwerp, Belgium. The title of his dissertation was “Economic growth, policy reforms, household livelihoods and environmental degradation in rural Ethiopia: Towards an integrated model of economic transformation”.